I absolutely love taking Charlotte’s weekly pictures. It’s so incredible to see the changes she makes in just 7 days. 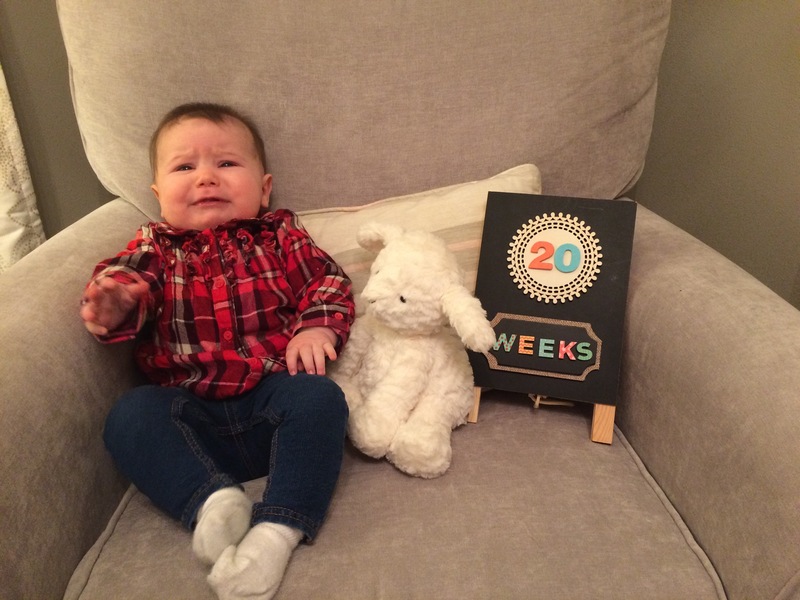 When I first made our age tracking photo prop, I had only intended on taking weekly pictures up to her first month. I don’t know what happened, but somewhere along the road, I decided to continue the photos. I can only imagine that by the time she’s 52 weeks, she’s going to be throwing the dang board across the room. 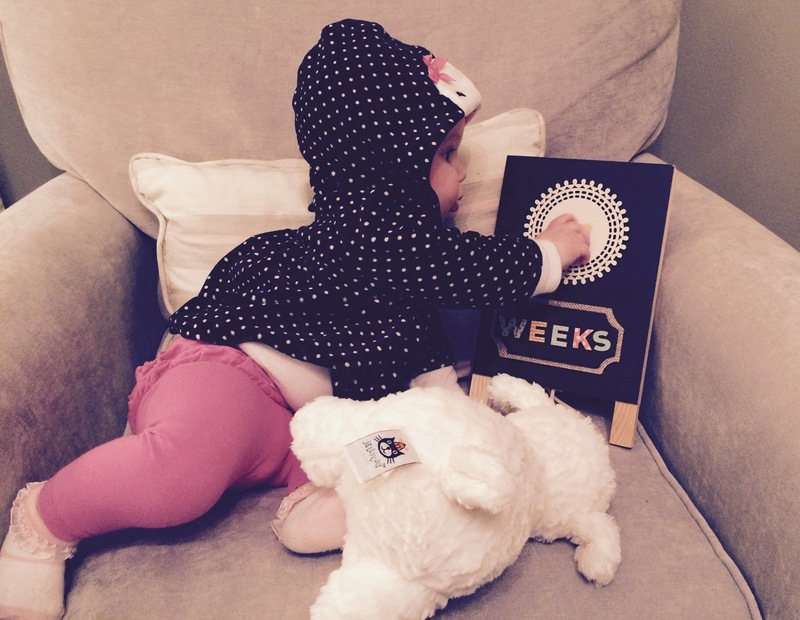 This entry was posted in New Baby and tagged New Baby, New Mom, weekly baby photo. Bookmark the permalink. I know how you feel! I do monthly pictures and I have a very short period of time that I can do them, and they have to be first thing in the morning!! The thing about it is though, those will be the pictures you like the most because they have the most memories!! I very rarely get a smile when the camera is out so every picture I take I will remember being silly just to try to get that little smile. Thank you for sharing!! Ha, ha! I LOVE that you do weekly photo’s! I only decided to do monthly, but I’m so glad that I’ve been taking a ton of photo’s to at least document the weeks. Brady is only 2 weeks old, and he has already changed so much! It’s amazing how many changes take place over the course of 7 days!! Isn’t it crazy?? Babies are so incredible!